Nash Baker are proud entrants in this years Gingerbread City organised by the Museum of Architecture. Our design focused upon sustainable principals; using rammed ginger walls, charred timber fins and installing a sense of community spirit with shared allotments and gardens. We'd love you to go visit, and the exhibition showing the work of lots of designers and engineers is open until Friday 22nd December, at 27 Thurloe Street, South Kensington, London, SW7 2LQ. We are delighted to announce that for the second year running Nash Baker Architects have had a project shortlisted for Suffolk Coastal and Waveney District Council's Quality of Place Award. 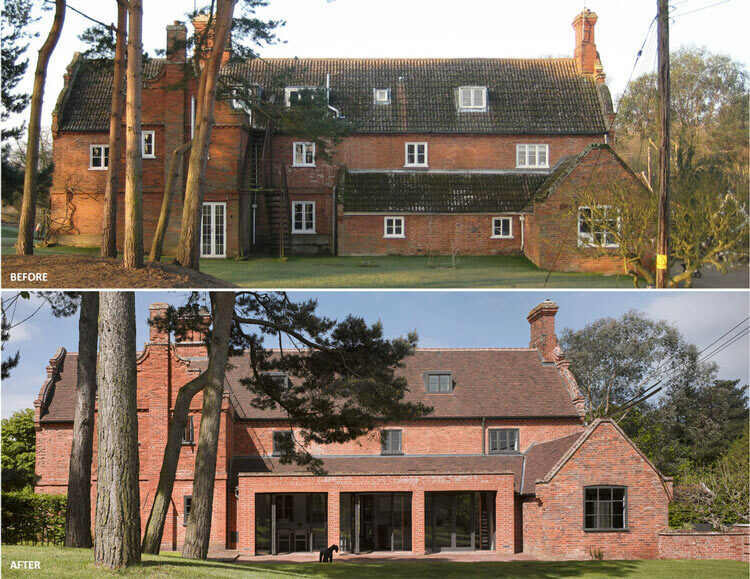 The awards were established to celebrate the effort being made by people across Suffolk Coastal to add to the quality of our environment, by creating high quality designs in both the built and natural environment and helping to conserve our historic buildings. Last year our Broad Street project was Highly Commended for its design. This year Church Farm has been shortlisted and we look forward to hearing how is fairs. We please to announce the publication of our Broad Street House in Taschen’s latest coffee table tome: '100 Contemporary Brick Buildings'. This project has previously been shortlisted for numerous awards, and demonstrates a careful juxtaposition of contemporary new-build design with traditional materials and craftsmanship. The City of Westminster approved our scheme to extend and subdivide this 365m2 penthouse into three flats (3-bed, 3-bed and 2-bed) totally 434m2. This development provides additional high quality housing stock in the borough which we think is a great result for everyone. For the fourth year running, Nash Baker Architects have been awarded 'Best of Houzz' in their design category. Approval has just been granted by Westminster City Council for the whole house refurbishment of this large Victoria Semi-detached house in the Maida Vale Conservation Area. The scheme includes a contemporary 4.5m rear extension and subterranean basement and was considered under Westminster's new basement policies. Prior to sanding and finishing, the balustrade and spindles are installed at Victoria Gardens. Welcome to Nash Baker's new website: We hope you enjoy browsing and finding out more about our range of services. We'll be continually updating the site with new information, so keep coming back to find out what we're up to, and be sure to follow us on Twitter, Tumblr and Pinterest for our latest updates! We have been granted planning permission for a comprehensive renovation of a Grade II listed grand, Italianate style double-fronted property, located in the Chelsea Conservation Area. Constructed in 1853 by master builder George Todd, the property was most recently owned by interior designer Michael Inchbald. Our Broad Street house was featured in Slovenian magazine HIŠE in their timber homes edition. The magazine is well worth checking out, with high quality features and beautiful layouts. To celebrate our 10th anniversary Nash Baker went on an office trip to Lille; we took in the local architectural sites, including the Louvre Lens by Sanaa, the Villa Cavrois by Mallet-Stevens as well as enjoying the historic Old Town of Lille itself. Our Church Farm House project has a 6 page feature in the October edition of Homes & Gardens magazine- on newsstands now!